Addictions are more than just a habit. For example, many people who want to quit smoking are just habit smokers, and they often quit easily in one session. Those who are physically and emotionally dependent of cigarettes need more sessions because the act of smoking is filling a deeper emotional need and the cause of that emotional hole needs to be explored further. You can consider yourself addicted to something if the activity interrupts the quality of your life or the lives of those around you. Read how my clients have overcome their addictions using hypnosis. Some people believe that they have an addictive personality and that’s all there is to it. But even if you are prone to obsessive behaviour, you can change. On the other hand if you continue to say ‘I have an addictive personality’ then your subconscious mind will continue to produce the situations that prove that to be true. Feeding your dependence is like scratching an itch. The more you scratch it, the itchier it becomes. On the other hand if you resist the urge to scratch the itch eventually goes away. So it is with your cravings and urges – they ALWAYS pass. Of course none of these things are true – but your subconscious doesn’t know that. So it keeps prompting you to feed your addiction and as a result your addiction gains more and more power. A qualified hypnotherapist can help you break the cycle of itching and scratching. Most addictions have anxiety at their root. That is, your fixation is filling a deeper need to manage some kind of unresolved tension, anxiety or depression. My client Bernard was using alcohol to mask his feelings of depression and hopelessness. He had never really learnt how to manage his feelings so he used alcohol as a crutch. Hear his story in the video to the right. Just like Bernard, at one point in your life you developed a subconscious belief that the best way to manage your unresolved emotions was with the object of your cravings. Even when it became abundantly clear to you that this behaviour was not only not helping, but ruining your life in the process, you felt powerless to change; the subconscious building blocks were already in place. When Sally came to see me, she was adamant that if she could just stop eating chocolate, her life would be perfect. She spent every waking hour either thinking about or consuming chocolate and it was taking its toll on her health and her waistline. It turns out Sally was using chocolate to fill a void in her life – she felt lonely and disconnected from the world. Sally hadn’t been in a long-term relationship for over 10 years and while she definitely wanted to find a partner, she didn’t feel good enough within herself to even try. Instead she hid away from the world and found solace in her old friend chocolate. I did some hypnosis work to build her confidence and open her mind up to new possibilities. We devised strategies that allowed Sally to slowly connect with the world again and then when she was feeling stronger, I did some work to help her let go of her obsession with chocolate. At home in between sessions she listened to my Chocolate Addiction Hypnosis MP3. Once Sally gained the confidence to step out of her comfort zone, make new friends and pursue her goals she no longer needed her old friend chocolate. 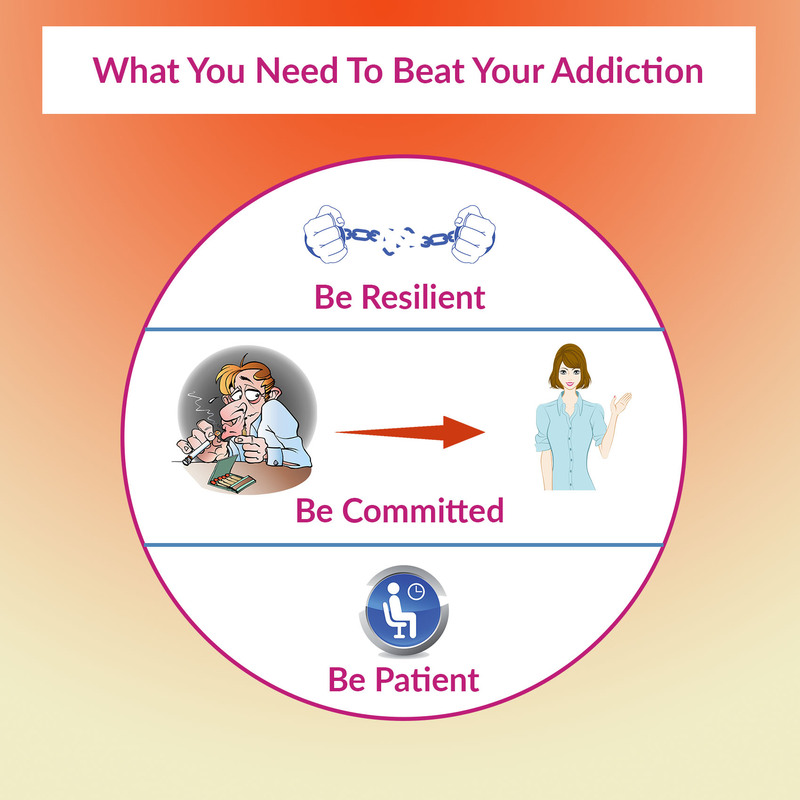 Addictions can be difficult to treat if you don’t address the cause as well as the symptoms. Hypnosis works well for addictions because it helps you get to the root cause of your problem and eliminate the negative beliefs and mind patterns that perpetuate it. You can always get in touch with me on my contact page. Give me a call or send me an email so we can discuss your requirements.